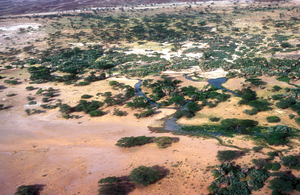 Aerial view of an oasis on the edge of the desert in Kenya, Africa. 1981. Photographer : Willem van Aken on January 01 1981.